Greetings Alpharius, and it's so good to see you too Alpharius! Today's 30k piece kicks off an attempt to delve into the legion by legion rules that form the backbone of 30k. It's just as much about trying to establish the definitive handbook to the legions as it is for my own knowledge and benefit, as I feel the fervor of battle is much more manageable when I'm familiar with all the individual little parts and pieces. Likewise, I know that expertise spills over into my list construction owing to the same principles. It's easier to build a more cohesive whole when I know how all the parts tend to work and mesh together. Plus, by starting with the Alpha Legion, I get to do some window shopping in terms of what's available in the other legions. How's that? I'll show you. 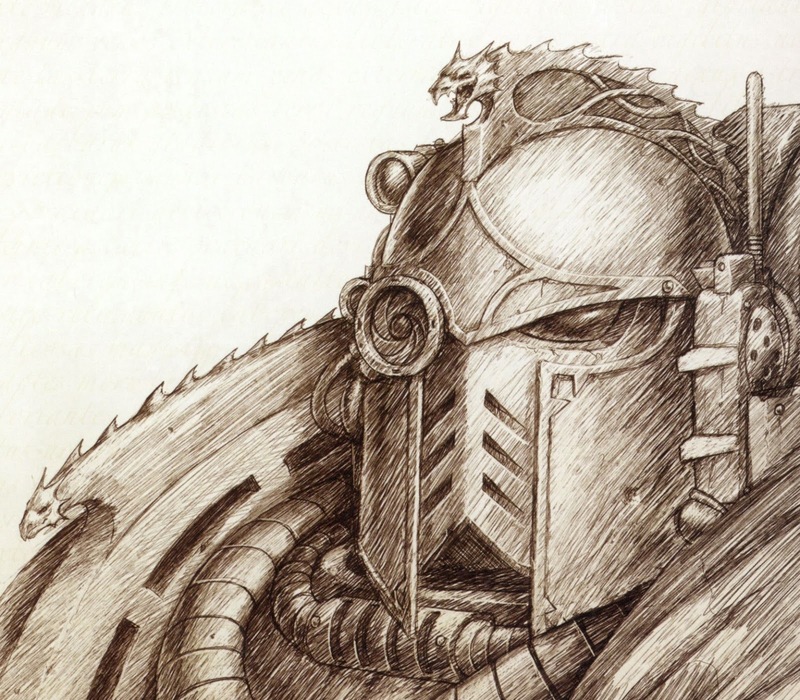 The most general rules that apply to Alpha Legion are their Legionnes Astartes special rules: Mutable Tactics and Martial Hubris. Mutable Tactics is an incredibly powerful rule which allows Alpha Legion players to pick a different USR every game. The list of available rules is: Scout, Infiltrate, Tank Hunters, Counter Attack, Move Through Cover, and Adamantium Will. There are some clear winners, like Infiltrate, and some clear losers, like Adamantium Will, but on the whole the list is incredibly well rounded. All you have to do is tell your opponent what tactic you're picking up when you determine your warlord trait, something quite reflective of the legion's adaptability, and underhanded surveillance. The drawback to the power of this flexibility is Martial Hubris. If you concede more kill points than your opponent, you'll also concede a victory point. This is a huge drawback, and definitely gives opponents a way to let you know 'You chose... poorly.' with regard to your Mutable Tactics. Don't lose though, and this is a non-issue. The Alpha Legion are also possessed of some of the more nefarious tools available to legion arsenals: venom spheres, power daggers, banestrike rounds, The Drakina, and access to the Saboteur consul type. We'll tackle these gifts in order. For starters, venom spheres are assault grenades that grant the bearer Hammer of Wrath. They also swap out the frag grenade's S4 AP6 small blast with S3 AP- but that's a fair trade. They're not incredible, but they definitely help with free hits for a very low points cost on eligible models (though remember HoW is not one to many). Power daggers are super cheap (cost of a meltabomb) and grant the model a S-1 AP3 rending specialist weapon. Wow that's powerful! Suddenly you've got access to cheap dual armed on every power fist or paragon blade toting character, and in the case of those tactical squad sergeants, suddenly you're a supreme duelist. Banestrike rounds are baby rending rounds for your boltguns. They only drop you to AP3 on 6s to wound, but that's usually enough in a game built on the back of power armor. Sure, it costs you 6" of range from your boltguns (18" rapid fire, on all but the heavy bolter), but it's well worth it to shred enemy infantry. You share these rounds with the Sons of Horus, but you have better access to it. Don't be afraid to capitalize on that. The Drakina is our relic, and it's an AP4 rending, poisoned pistol with fleshphage. 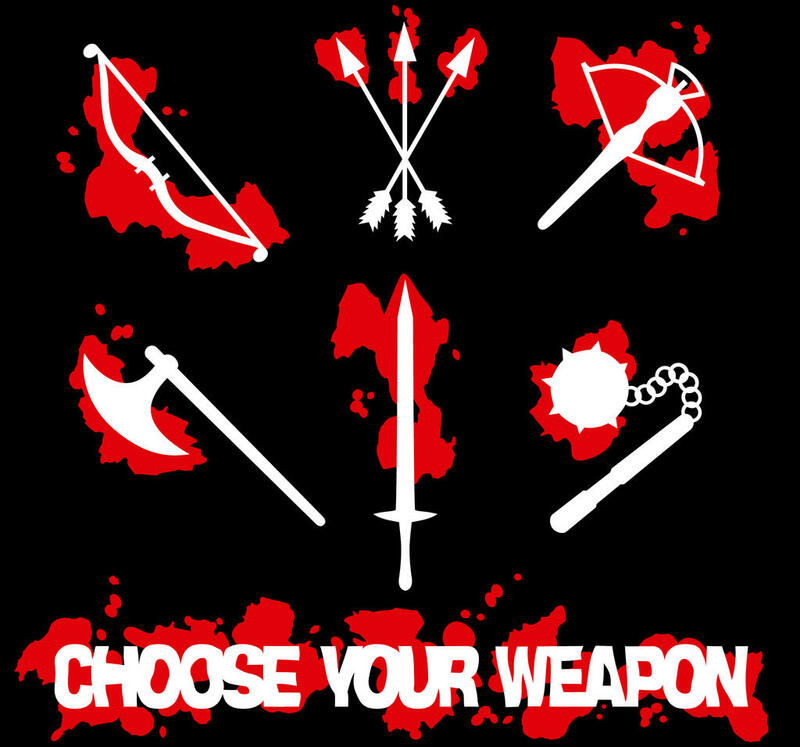 Units hit by the weapon have to take d6 toughness tests per turn, suffering a wound with no saves allowed for each failed test, and the effect persists until they pass all the tests or die. It's a bit salty at 45 points, but could be a big winner on a Moritat. The saboteur is our final 'upgrade', and he's a weird loner who comes out of reserves with a bang, inflicting an automatic AP2 pen on a target vehicle, or d6 AP3 ignores cover wounds onto a squad (sorry about your Castellax or Rapiers!). There's a few ways to combo this guy, but remember that the 'relics of darkness' require your opponent's permission to use, so don't ruin this for everyone. What about the Legion's finest, their special units? The first is a Fast Attack choice: the Headhunter Killteam. These special Seekers have renounced all their special ammo in favor of Banestrike rounds, and have armed themselves to the teeth with venom spheres and power daggers. They're BS5, come with combi-bolters standard, and have Precision Shots, and Infiltrate. 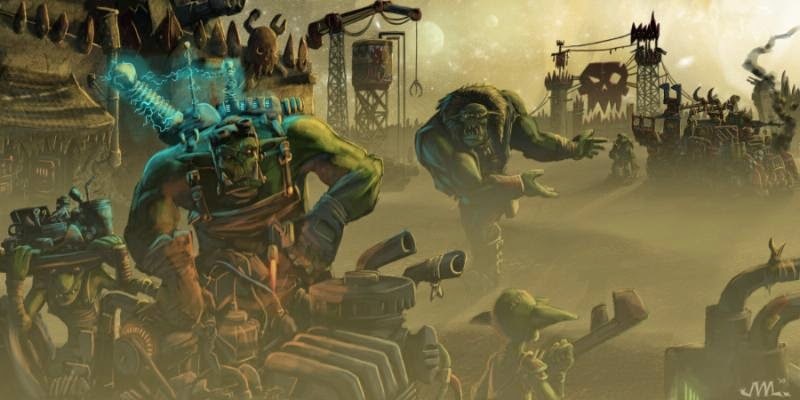 Round that out with the option to take a suspensor heavy bolter on one model, and their ability to buy a Dreadclaw or Rhino as a dedicated transport (though at the cost of Infiltrate), and this squad can be scary, even more so when you consider that you have options to make them troops. They can end up expensive in a hurry, but what to you expect from access to that much potential AP3? Our other unique unit is the Lernaen Terminator squad. These WS5 Cataphractii equipped elites have Stubborn and Implacable Advance, and have sworn off their combi-bolters in favor of Volkite Chargers. They also have access to a grenade harness with Venom Sphere rounds, and the ability to have one per 5 models tote along a heavy conversion beamer. It's an interesting option, but typically one best saved for playing PotL and sitting in the back field, camping an objective. I'll be honest, I consider these guys pretty underwhelming, but they're not bad by any means, especially if your play group has any militia or auxilia players, as those volkites will really tear through infantry. All of that said, now that Justerians got updated to two wounds and Phoenix Guard termis got their rework, the Lernaen now hold the sad title of worst legion special terminator. But that's okay. Next up, are our special characters, starting with none other than Alpharius. Erm. Armillus Dynat. He's a praetor in 2+/4++ who has opted to drop an attack and pick up an extra wound. He's also taken a page out of Horus and Abbadon's book and has learned to hand off attacks back and forth between his thunder hammer and power sword. Top that off with a cognis signum and a single phosphex bomb, and you might still be wondering why he's so special. His special rule grants all units with the Legionnes Astartes Alpha Legion special rule (including dreads) +1 the the vehicle damage table and +1 to sweeping advance results while in the enemy deployment zone. Playing Orbital Assault? Shred those vehicles from turn one. How about that Saboteur? He's suddenly generating an AP1 hit when he outflanks into the enemy deployment zone. If Alpharius isn't around, he has to be the warlord, but that's fine since his trait grants a unit deep strike. Dynat isn't amazing, but for the right list, he can be devastating, and that makes him worth considering. Then there's Exodus: our headhunter character. He's packing a special boltgun that would make Telion's Stalker 'Quietus' quite jealous. Referred to only as 'The Instrument', it has two firing modes: a salvo 2/4 S5 AP4 with rending, or a S6 AP3 heavy 1 rending shot with ignores cover and lethal, meaning it causes two wounds if unsaved. When you consider that he registers precise shots on a 4+, he can definitely cause some havoc, doming special weapons tucked into enemy squads, or even forcing LoS! rolls on the odd character. Sure, he can only join Headhunters or Recon Squads, but he's also packing Infiltrate, Move Through Cover, Scout, Acute Senses, Cameleoline, and IWND, plus a melta bomb and power dagger on top of his stat line (BS6 & 3 wounds! ), he's not a bad fit. Just remember, he can't be your warlord. Before we get to the big man himself, we've got a short pit stop: Autilon Skorr. This event only character gave us the Delegatus, a consul with Master of the Legion and the 'Chosen Duty' unique rite. Up until book 6, he didn't have any special rules, but now he does. Hungry for Glory says that any time an additional game turn is rolled for, he can 'auto pass' the roll, and if he does, he gains FnP 3+ and Fearless for the extra turns he forces. Given that the Delagatus has a special rule which concedes a victory point if you aren't able to kill the enemy warlord, this is a really fun and fluffy rule, even if it isn't necessarily relevant in tournament settings. Last, but certainly not least is Alpharius himself (or possibly Omegon). He's pretty expensive compared to his brothers, so what's he bring to the table? He himself comes armed with the Pale Spear, a plasma blaster, venom spheres, cameleoline, nuncio-vox, and a cognis signum, as well as a 2+/4++ which renders him immune to Poison and Fleshbane. The Pale Spear? It's a Warscythe, wielded by a Primarch. No S7, but it does have AP1, Instant Death, and Armorbane, which is very very scary. Plus his personal special rules: Counter Attack, Move Through Cover, Scout, Crusader, and Sire of the Legion. Ultimately though, these combat specs, though respectable, are not what you bring Alpharius for. No, this devious mastermind is a force multiplier extraordinaire. He grants you the ability to seize the initiative on a 4+ (hm, if only we had the ability to reroll that), and grants you the ability to subvert enemy reserves, while your own get +d3" bonus movement when they arrive. How this works is if you have the same unit in reserve as an opposing unit, and the opposing unit would enter play from reserves, on a 4+, that unit stays in reserves and yours enters play instead. This can be an absolute backbreaker when you take scout or infiltrate as your mutable tactic, as suddenly you're pulling in units from outflank on opposing turns, crippling them and denying them troops, while yours gain superior positions. But that's not all. Alpharius can also start the game 'hidden' within a unit. Just write down what unit he has joined, and he will replace one 'generic' model from that squad at the start of any turn past the first that you choose to reveal him on. In any case, as long as he has been revealed, either through his trick or by deploying normally, his entire army gains Preferred Enemy: Everything. Army wide PE is almost good enough to make him an auto-include, but when you spice it up with 'good enough' combat prowess and the neat tricks with seize and enemy reserve manipulation, and you've got a real winner through and through. How then does the last legion make for war? Their original Rite was "Coils of the Hydra", so we'll start there. More specifically, we'll lead with the costs of the rite, which are as follows: no Space Marine allies (that's fine, we're better than them anyway, and we don't have any friends), no more than one consul, except of the vigilator type (Means we get a Primus OR Sabotuer most of the time, otherwise, if you took Coils with a Delegatus, you're locked out all together - short of the aforementioned vigilator of course), must include an additional compulsory troops choice (bit expensive, but hardly the end of the world), and all infantry must have Infiltrate, Deep Strike, or a dedicated transport (now this one can get tricky or expensive, given costs of transports, or surrendering choice of Mutable Tactics for always infiltrate). That's a pretty healthy list of drawbacks, what's a hydra to do? Well, for starters, this rite grants us either +1 to go first or reroll on seize. Remember how Alpharius gives seize on 4+? Suddenly you've got an extremely reliable mechanism to outplay the enemy. Got first turn? I'll infiltrate and extensively reduce my deployment. Got to go second? I'll change tactics, and aim for the seize. Pair that with -1 to enemy reserves, and you're cutting down their options to outflank or dodge your seize shenanigans (plus remember Alpharius lets us hijack enemy reserves). Icing on the cake? You get a 0-1 elites choice, called "The Rewards of Treason". This unit can be any special unit from any other legion. You simply trade their Legionnes Astartes rules for your own. Firedrakes? Yours now. Suzerains? Might as well grab some. Deathshrouds with their new spiffy manreapers? Sounds great. Gal Vorbak? Doesn't make a whole lot of sense, but remember, this is the rewards of treason. Maybe Lorgar saw fit to bless some of our warriors. The long and the short of this is that this Rite of War, and the Legion tactics behind it are incredibly strong, and grant us near boundless depth of list construction options. Again, the transport and third compulsory troop choice can be expensive taxes, but the ability to infiltrate Firedrakes or some similarly strong unit should not be overlooked or ruled out. The newest Rite, the Headhunter Leviathal, isn't as overtly impressive, but is still unique in its own rite, and worth considering. Just like last time, we're going to lead with the costs. Failure to kill the enemy warlord surrenders d3 victory points (considering we've already got to contend with Martial Hubris, this is an incredibly steep drawback), all vehicles with more than three hull points must begin the game in reserves (not the end of the world, but far from optimal), and finally, no allies, of any kind (we dare not leave witnesses of what we're about to do). What all of this gains us is as follows: reroll for first turn (more powerful than what coils offers us), Headhunters move to both compulsory and non-compulsory troops (the power of this should be fairly obvious), and a neat trick that for the first game turn, which forces all enemies who wish to fire at you, but have not yet been fired upon, be required to take a leadership test, and surrender their shooting if they fail. Now, with our metal boxes forced into reserves, this is a trickier rite by far, especially knowing we have to kill the enemy warlord. Luckily the headhunters come with infiltrate baked in, so we still have the out or option to bring along devastators and rapiers and have what we need to get into enemy armor, and hopefully before they get the opportunity to shred us. Ultimately though, I think this Rite is far and away better in situations like Zone Mortalis. Bring a Delegatus, maybe either a Primus Medicae or Exodus, and grab a Headhunter troop choice, and back them up with some Lernaens. I don't know that it's better than just playing PotL, but it's interesting, and a great excuse to dust off the Legion's actual special units instead of looting them from someone else, especially with how nice the Headhunters look. With all of that said, I think it's finally time to talk about the latest rendition of my list. I've still yet to play, but I've been observing more, and batting about more sophisticated ideas with those around me, including TheGraveMind and TigerTiger. I'm just a few models out from having this ready for play tests, with the intention to ensure the list is ready for our big event May 7th. There's been some adaptations to up my overall threat saturation and increase speed, as well as to trim some fat and do away with extraneous or redundant units that might not have been contributing their fair share, as well as compensate for the lack of model for Alpharius. My hope is that the list accomplishes several things for me, not the least of which is an overall increase in threat saturation. Now, this has been accomplished in no small part due to decentralizing the threat of my former Firedrake Spartan, as well as shedding the points I had invested in named characters who didn't quite fit with the rest of what my list was doing. Similarly, I trimmed out the Headhunters. Not only could Exodus not ride with them, they weren't conducive to the overall power and focus of the list. Their anti-infantry prowess was real, but sadly, unless I planned to play them very aggressively, sniper vets would almost certainly be a better option point for point. Similarly, I toned down the Spartan and Drakes into a Kharybidis and Suzerains. This freed up the points to grab some Laser Rapiers (nasty additions with the aid of our Mutable Tactics), and grab the command squad, all while playing at an overall lower points total (2500, rather than the 3k I had written for previously). 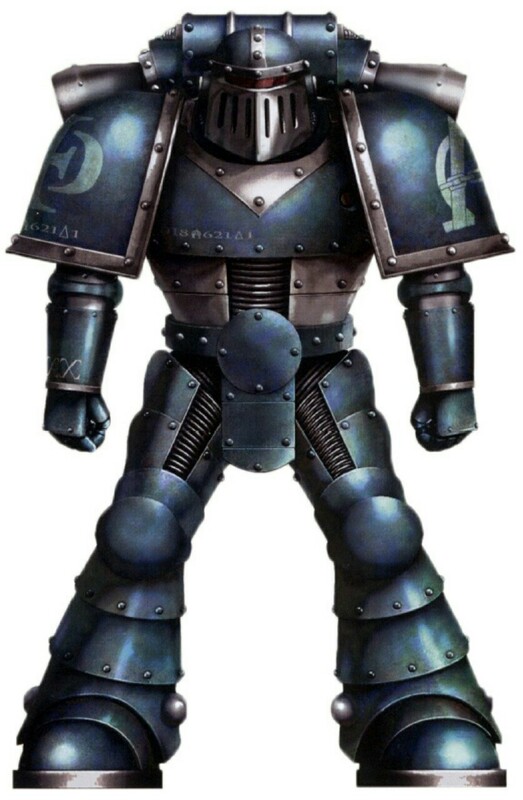 I'm still left wondering where to go or what to do for a list at 2500 utilizing Alpharius, but that's a matter that can certainly wait until that model arrives. 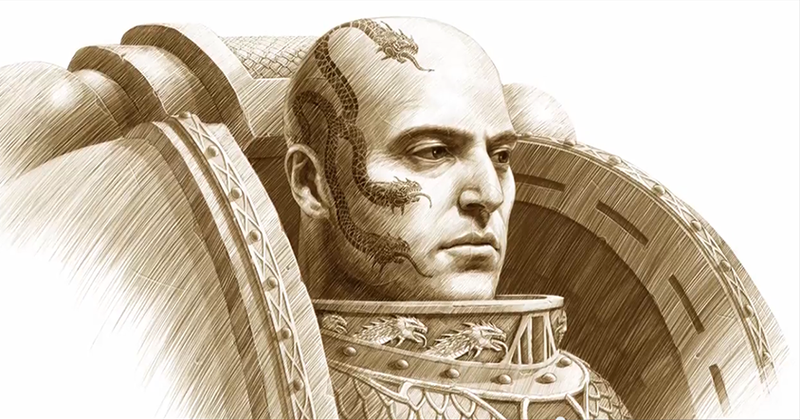 In fact, he and Dorn are at the time of this posting, the only two primarchs for whom rules exist, but no model, which should hopefully make for a release of one or both sooner, rather than later. So there we have it, a guide that has set out to plumb the darkest depths of the hydra's lair. Are they the best legion outright? Maybe not, but I can't help but be drawn in by their flexibility and treachery. In fact, as Godfrey jokingly put it "You've gone from the choose your own rules army of 40k, to the choose your own army of 30k. You can even mix and match other legion's units and rules. This army is perfect for someone as indecisive as you." His statement may have been a bit more pointed toward my penchant for optimization, but ultimately, I'd like to hope I'm just drawn in by options leading to the allure of tactical outplay, rather than outright min/max. The truth may never come out, but I'm likely to still say Hail Hydra!